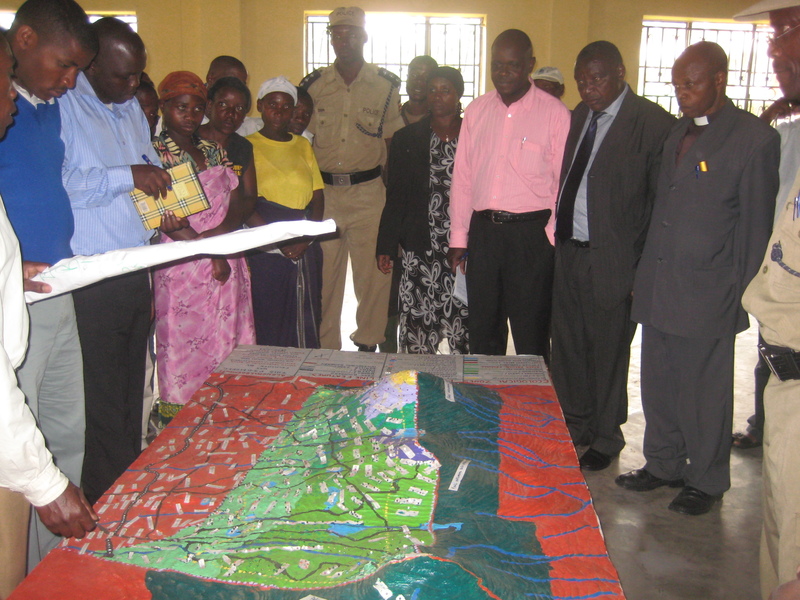 Way back in 2011 various communities of the Batwa sat down and agreed to map their former ancestral lands that are Bwindi and Mgahinga National parks. 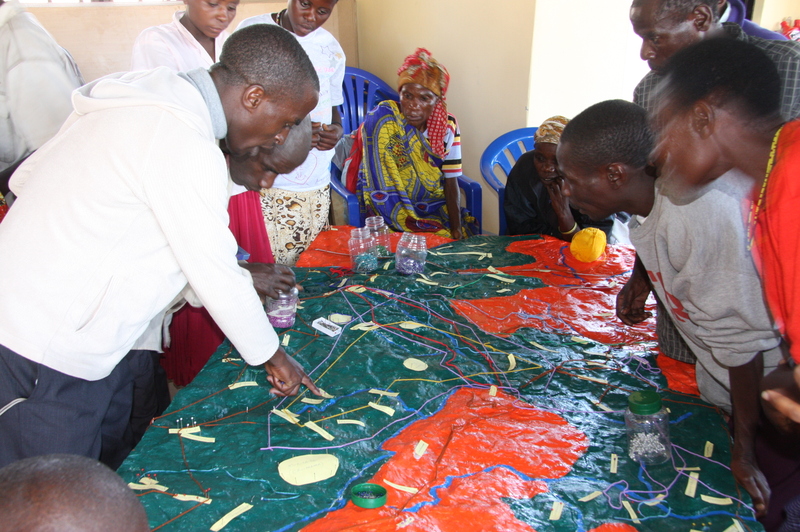 The Batwa adopted a process called Participatory 3-Dimensional Modeling (P3DM). The Batwa with support from Arcus through Forest Peoples Programme (FPP) were able to develop two models of Bwindi and Mgahinga National Parks. Their interest was to mark their different heritages like burial sites, spiritual areas, former ancestral homes and location of different plant and animal species. This process according to the Batwa helps the old Twa generation preserve information and knowledge that can be utilized by the future generation who did not experience life in their former home lands. On 28th Feb 2012, UOBDU and the Batwa launched Mgahinga map with all stakeholders including local government officials from Kisoro, other development partners that work with Batwa and conservation NGO s. The Batwa displayed their forest knowledge on the map about different sites and resources that exist in the park. During the function, the chairman NRM Kisoro District (Dr. Philemon Mateke) called upon the local government to do much more concerning the Batwa and echoed to the central government to compensate the Batwa since they were the original occupants of these National parks. Imagine if the Batwa had killed all the Gorillas, what would we have found and conserved? Really I and you need to help this group out of poverty.